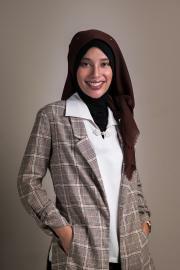 Florischa received her bachelor’s degree in Industrial Engineering from the Institut Teknologi Bandung in 2016 and a master’s degree in International and Development Economics from the Crawford School of Public Policy at the Australian National University in 2018. Florischa is a quantitative researcher at The SMERU Research Institute where she works primarily to support the quantitative analysis for the RISE (Research on Improving System of Education) Programme in Indonesia. She is currently working on reorienting parent-teacher community and teacher working group to focus on learning in Kebumen as well as evaluating the impact of zoning policy on learning outcome in Yogyakarta City. During her undergraduate study at the Institut Teknologi Bandung, Florischa won several international competitions related to Industrial Engineering where she had to solve various case studies for industries, such as PT Unilever and PT Toyota, among others. She was also selected as one of the participants of Young Leaders for Indonesia, a 6-months leadership training program, held by the McKinsey&Company. In 2016, she obtained an LPDP scholarship from the Indonesian government to continue her master’s degree. In her master’s degree, she received the Helen Hughes Prize for International and Development Economics which was awarded to the best student who obtained the highest overall scores in the first and second years of the master’s degree.